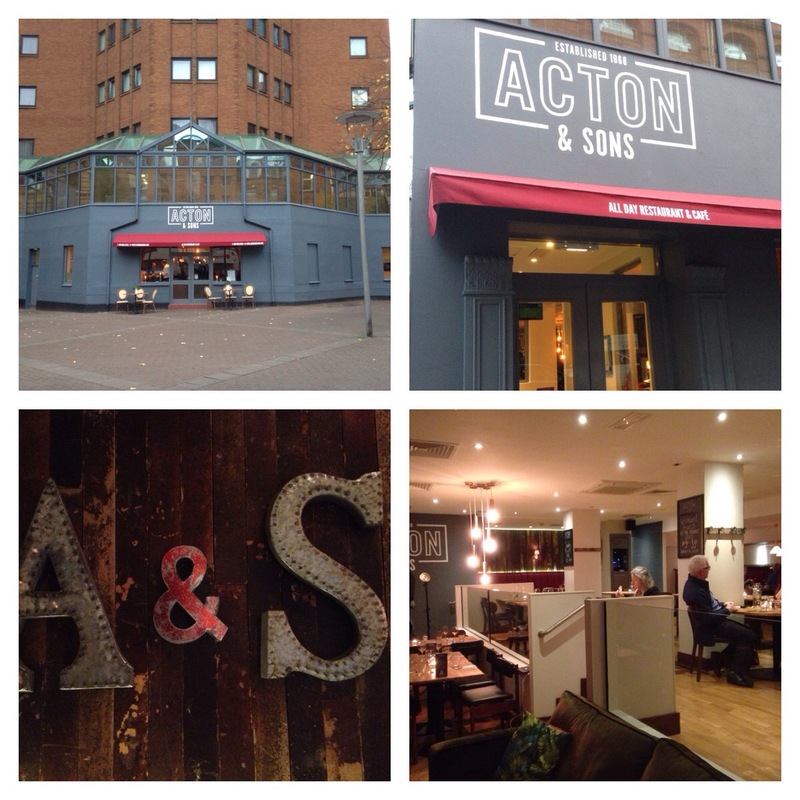 I attended the official opening of Acton & Sons this evening. It was a grand affair which gave me the opportunity to meet The Godfather of the restaurant industry in Belfast, Mr Tom Davis, and his family. There was entertainment, a selection of small plated snacks and drinks….more later. I was kindly Invited by Chris of Love PR. 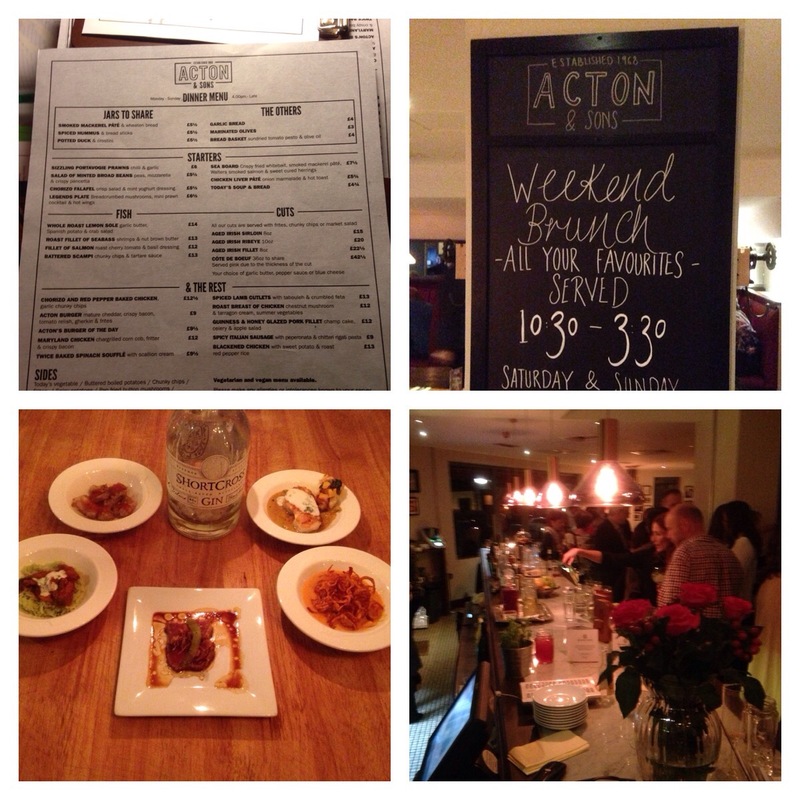 Acton & Sons is the new incarnation of Olios. It’s an all day restaurant and bar. It’s the brainchild of the team that founded Skandia, Neill’s Hill and Papa Joes. Mr Davis Snr opened Skandia in 1969 and I remembered the Skandia on Howard Street from 1989 and recalled eating there. His son Johnathan runs Neill’s Hill in Ballyhackamore (in 1998 was Aldens) and other son Andrew runs Papa Joes in Bangor. 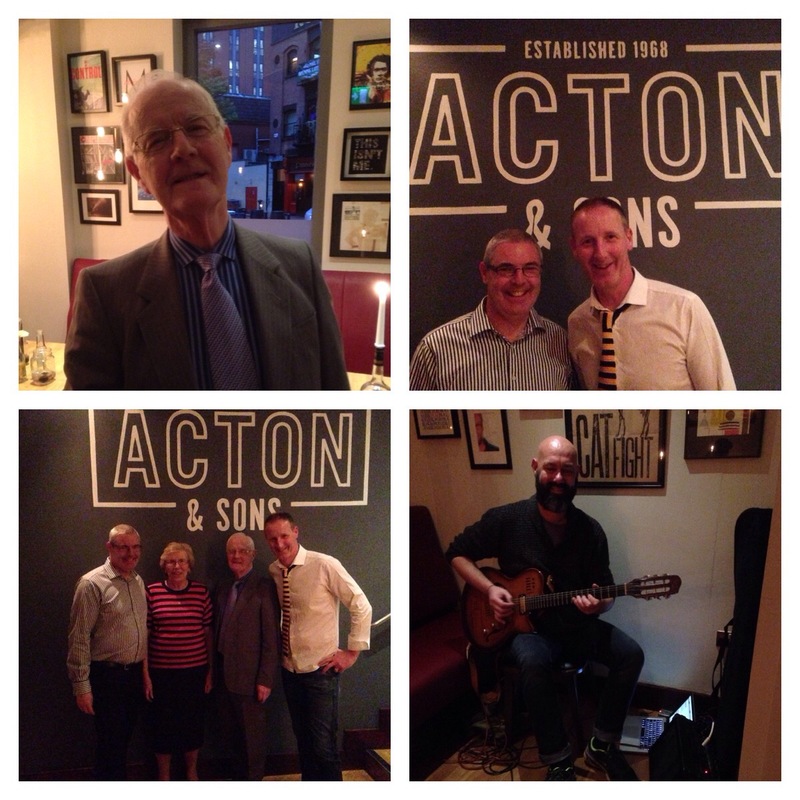 Both were present tonight along with Mrs Davis whom Tom met in Acton Hotel and Catering School. The kitchen is run by Executive chef Cath Gradwell and Head chef Brian Caldwell, who launched the new menu and let us sample some of the dishes this evening. Clockwise from the bottle was hake served with potatoes, chick peas in an Indonesian sauce, then creamy chorizo chicken topped with sweet potato strings (my favourite), then there was seared tuna and next was Cajun beef (I didn’t try as I don’t eat beef, but I heard it was good) lastly was battered squid topped with sweet and sour sauce. Mr Tom Davis was such a pleasure to talk to, very learned and down to earth and has a real depth of knowledge and understanding for the restaurant business in Belfast. His two sons are true “chips of the old block” and have a superb handle on the restaurant industry in Northern Ireland. I am truly confident that the pedigree behind Acton & Sons will propel it well. I would thoroughly recommend this as s goto destination for good quality food in impeccable surroundings served by competent and attentive staff.